Adam Lambert was on American Idol last night and he was awesome. I have to admit I watch AI quite a bit, pretty much every season and I've seen loads of musical guests. Adam was the best ever. Every bit of wisdom and knowledge he bestowed on the contestants was spot on. Adam really knows his stuff and he was brilliant in his advice. He was able to nail every issue the contestants were having and he improved every one of their games. The artist was Elvis this week and some of the song choices were questionable. This American Idol season seems kind of lame to me. No one is really rocking out except maybe Bowersox. Adam changed AI forever with his originality and simple presence. 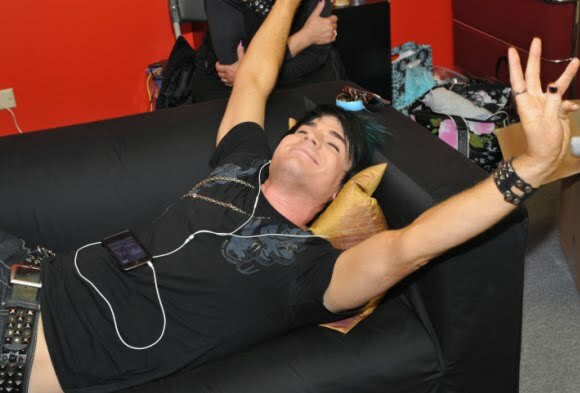 Adam Lambert you are a rock star!